I do not know what the problem is. Here's the picture(http://prntscr.com/neoxiz) Mr. 104th_Maverick, I'm watching your video clips and I'm learning slowly, I think I'm still not ready for your server.If you need more information, I will gladly forward it.Thank you in any case. =4c=Yambo posted a question in 104th Multi-Player Server "Heliopolis"
Banned but do not recall why?I'm pretty new in game.I probably did something wrong.....My name on server "Gilmar" If any of my behavior violate the rules of the server, I sincerely apologize. Any chance of getting unbanned? Gunslinger22 replied to a question in 104th Multi-Player Server "Heliopolis"
No worries Mav! My pleasure to donate! Guest posted a question in 104th Multi-Player Server "Heliopolis"
DCS Callsign: metmets Country: Estonia Details of any previous DCS GCI, VATSIM ATC activity if any: 400h in VATSIM (as a pilot), getting my ATC rating as of right now Sometimes have done GCI on some servers. Gratz 104th_Money and 104th_Fallen. Well deserved guys. S! Gratz Blaze! Look forward to receiving some quality training...if I ever get accepted in the 104th. 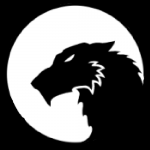 SnowTiger posted a question in 104th Multi-Player Server "Heliopolis"